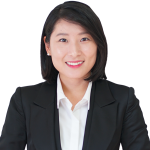 Ah-Ram Kim is an analyst in BGA’s Korea’s office, where she tracks and analyzes the country’s political, economic and business issues for clients. Before joining BGA, Ah-Ram worked as a writer and an assistant producer for current affairs TV programs at KBS and Arirang TV. She specialized in politics, government and policy affairs, business and financial issues. Working in broadcast journalism, she built an extensive network with the Korea’s political leaders, the executive branch of the government, academia, think tanks, media and the business community. Ah-Ram graduated from Incheon National University where she studied law focusing on government and public policy.